Dove Barn offers 5-star luxury wedding accommodation in Suffolk. 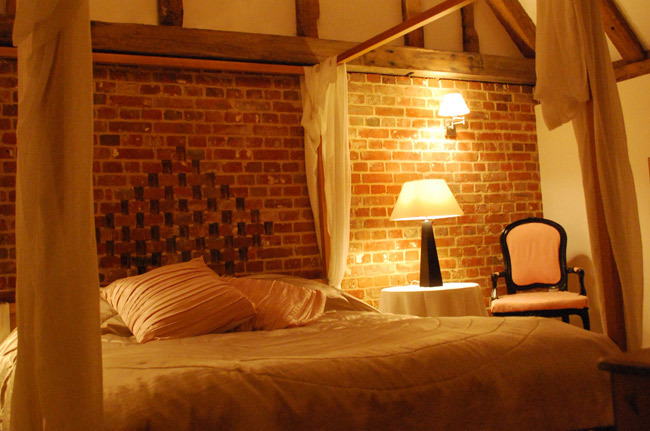 This Grade II listed farmhouse offers 5-star wedding accommodation. 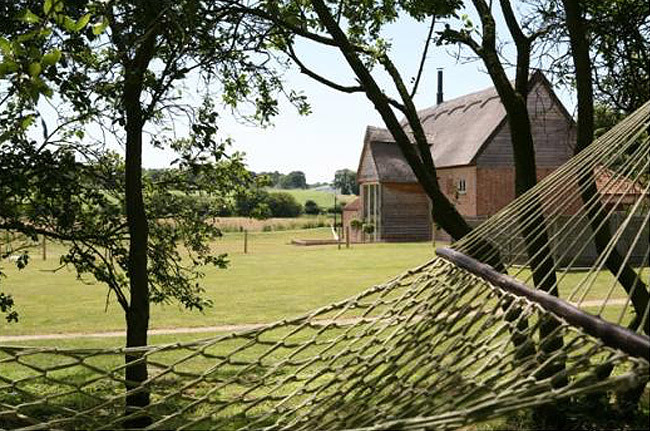 White Dove Barn has a suntrap terrace and views over the meadows of the Waveney Valley. 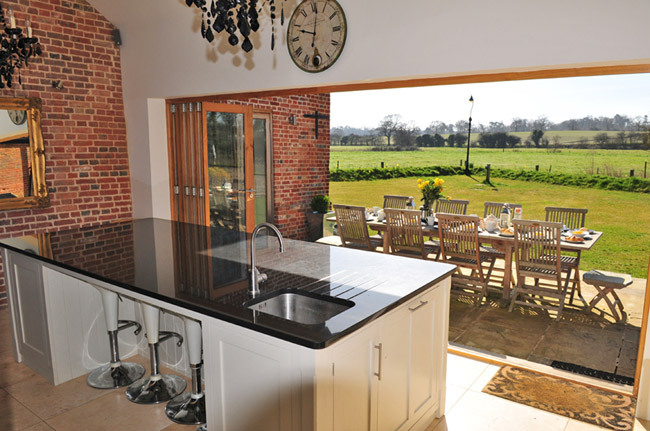 Ultra modern kitchen with 2 fridges, 2 freezers, granite worktops and breakfast bar. 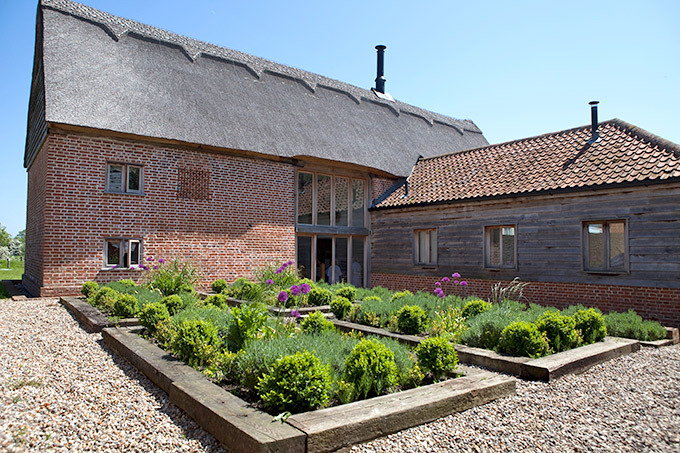 Full width south facing windows which may be opened up in good weather. AGA, dishwasher, microwave and loads of storage. Sitting room with flat screen TV set into wall with Sky TV including Sky Sports. There is also a speaker system throughout the entertaining areas (living and dining rooms, and kitchen) . Log fire which also serves dining hall. Stairs to first floor sitting area with fantastic views over rural Suffolk. Dining Hall with table and chairs for up to 12 people. Staircase under vaulted ceiling to master bedroom and second double bedroom. 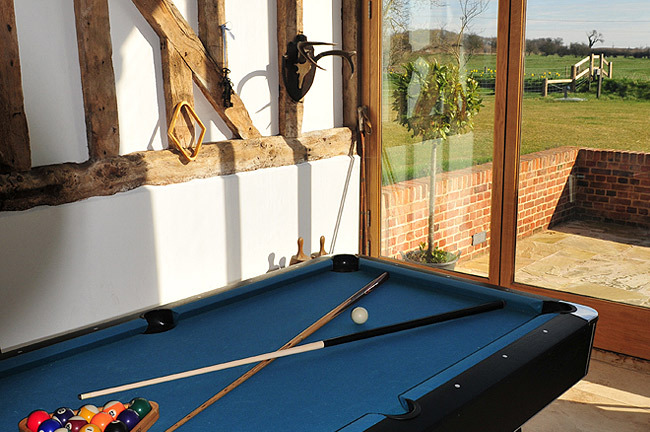 A pool table and seating is available beyond the staircase. There are 2 twin and one double bedroom accessed off the main hall. 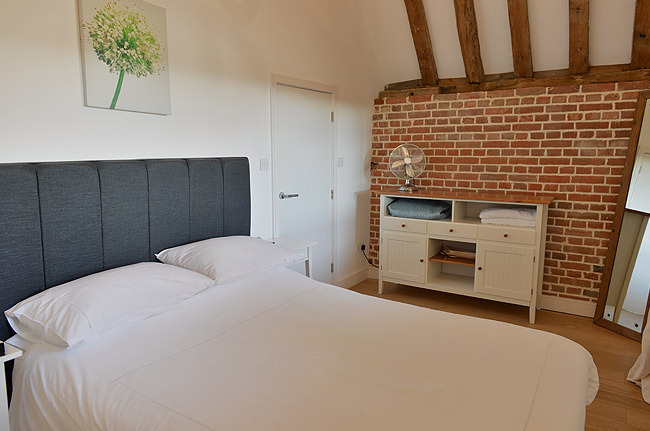 A beautiful ensuite shower room is shared by the double and one of the twin bedrooms. The second twin bedroom has access to a separate shower room off the dining hall. There are large glazed doors leading onto separate patio areas with a large garden dining table on the south facing kitchen patio. Stairs lead up to the master bedroom which has a lovely ensuite shower/bathroom. There is a smaller double bedroom with an ensuite shower room. "Dear Greg, Tim and all the team at Marsh Farm. Just a little note to say thank you so much for all of your help in the run up to our wedding and especially the day before and on the day - we were thrilled with how it went and that we chose your venue!"